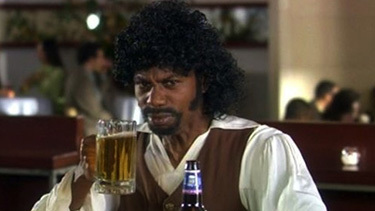 Dave Chappelle began making appearances in films such as Robin Hood: Men In Tights and Half Baked in the mid-1990s. He received two Emmy Award nominations for the wildly popular and controversial show, which frequently addressed race relations. Comedian and actor David Khari Webber Chappelle was born on August 24, 1973, in Washington, D.C. Chappelle’s parents were both professors: His father, William, taught at Antioch College in Yellow Springs, Ohio, and his mother, Yvonne, worked as a professor at Howard University and then the University of Maryland, while also serving as a Unitarian minister. 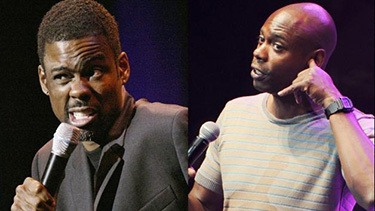 Chappelle’s parents separated when Dave was 6 years old, and he subsequently began splitting time between his parents’ homes in Wasington and Ohio. Inspired by the sitcom The Cosby Show and its star, comedian Bill Cosby, Chappelle decided he, too, wanted to have a career as a comedian. As a high school student at the Duke Ellington School of the Arts in Washington, D.C., Chappelle began a stand-up career. Because he was underage, his mother often had to accompany him to clubs as a legal guardian. Even at an early age, Chappelle’s brand of humor was controversial, leading to frequent heckling-he was even booed offstage during amateur night at New York’s famous Apollo Theatre. Chappelle also began to make his way into television-getting his first in a series of TV deal that he would eventually be offered-at age 18. Of the several pilots that he shot, only one made it to the air: Buddies, a Disney-produced ABC series focused on two friends living in New York City. Unfortunately for Chappelle, the series was canceled after just four episodes, but his celebrity continued to grow thereafter. Chappelle began making appearances in more films in the ’90s with more significant parts. He starred in The Nutty Professor in 1996, alongside Eddie Murphy, and made his way into three popular films in 1998-Woo, You’ve Got Mail and Half Baked. The same year, Chappelle’s father died, forcing the comedian to reevaluate his life. From there, he filmed the immensely popular comedy special Killin’ Them Softly in 2000, followed by the film Undercover Brother in 2002. While his popularity continued to grow, he had yet to encounter the role that would catapult him to superstardom. In 2003, Dave Chappelle landed his own show on the Comedy Central cable network, entitled Chappelle’s Show. 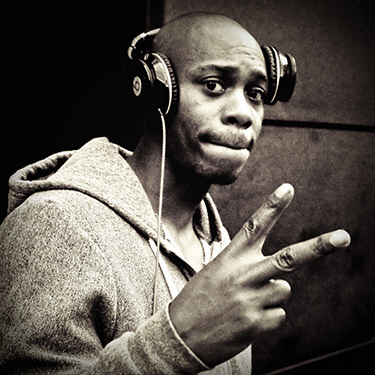 Chappelle received two Emmy Award nominations for the wildly popular and controversial show, which frequently addressed race relations and featured musical guests. The provocative comedian not only gained the attention of popular TV personalities such as Oprah Winfrey and Inside the Actor’s Studio’s James Lipton, he was offered a massive TV deal from Comedy Central after only two seasons. Chappelle was reportedly offered $50 million for an additional two-year contract. 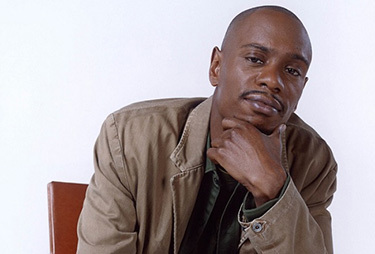 Chappelle’s Show was about to begin its third season when Chappelle abruptly left during production in 2005. 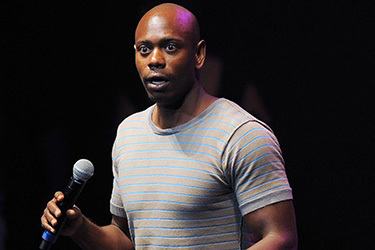 Unhappy with the direction the show had taken and pressured by network executives to change the tone of the comedic series, Chappelle left the United States to visit South Africa. Upon his return, he began living a more reclusive life, moving to Yellow Springs, Ohio, and making only a handful of public appearances. In 2006, he released the documentary Dave Chappelle’s Block Party—one of his last moments in the spotlight for several years. Chappelle also headlined the Funny or Die Tour, beginning in Austin, Texas, on August 23, 2013. He referred to his exit from Comedy Central during his set, telling the audience that “It’s easier to resign as the Pope than it is to quit a cable show,” according to Entertainment Weekly’s Popwatch blog. 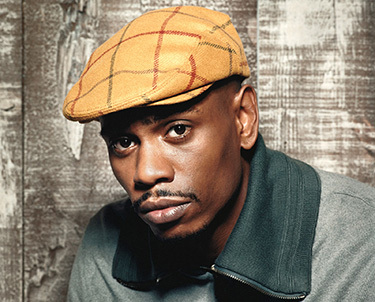 Chappelle is expected to perform at all tour dates, which runs until late September.